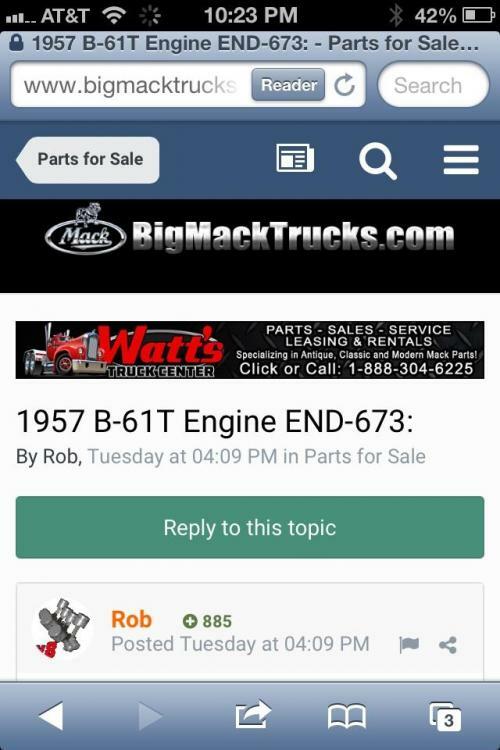 I have a b61 with a endt675 engine Tri-plex trans and 6:34 ratio rears. Top speed now about 43 mph at 2100 rpm. What ratio could I go to and Still keep good pulling power and go 60 mph. 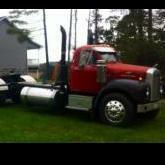 Pulling a small lowboy and D5 dozer. Not really sure but I think it’s a single over. Haven’t been able to read the numbers on the transmission so much grease covering it. It has the aluminum box on the back. Thank you for the information. I will check on that tomorrow. Maybe this will help with some info. 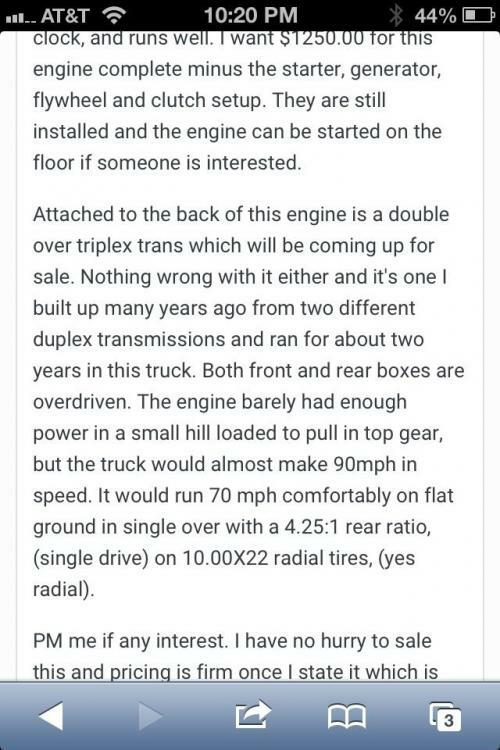 Rob has it ln a listing for a engine in the parts forsale section. Thanks for the information. Does anyone have the plate that fits between the fender and the hood on a B61?